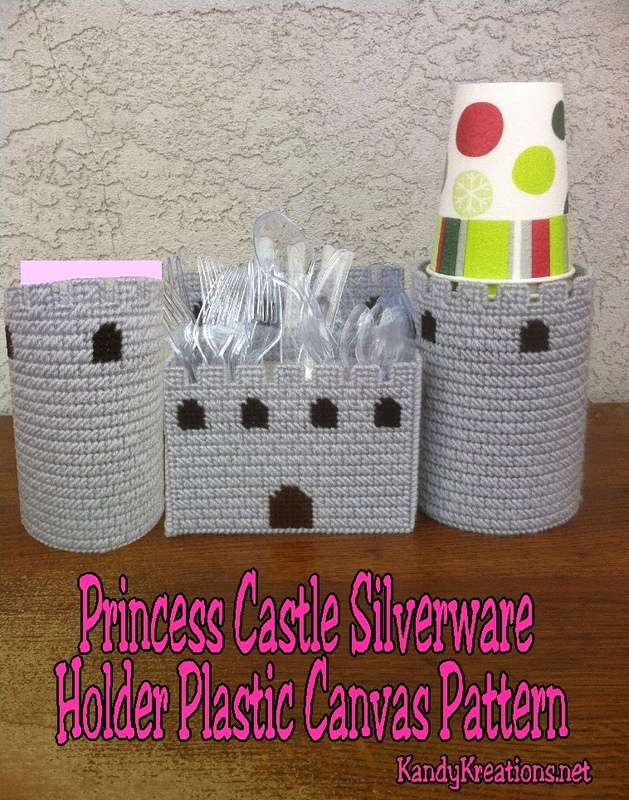 Create this Princess Castle Silverware Holder for your Princess birthday party or Princess baby shower. These free Plastic Canvas Patterns will help you to show off your party essential in a fun and themed way. Just so you know, I haven't been completely lost to football fever right now. Oh, it has definitely taken over much of my life and my family time, but I do occasionally find other projects to take over my obsession. This Princess Castle Silverware holder is the perfect example of that. I was surfing around the Internet one day and found a flickr group that had some fun plastic canvas projects on it. 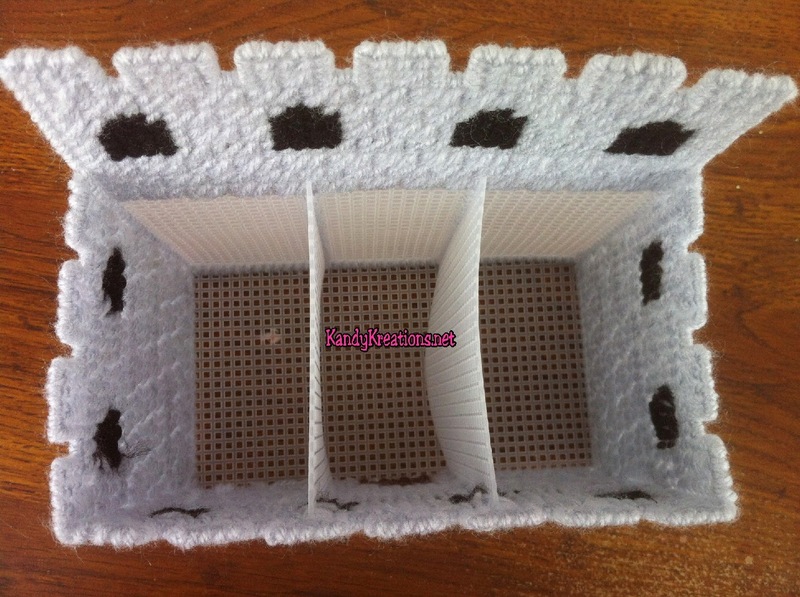 One of the projects was a castle napkin holder. I loved the idea but couldn't find a pattern for it anywhere. So I decided to create my own. 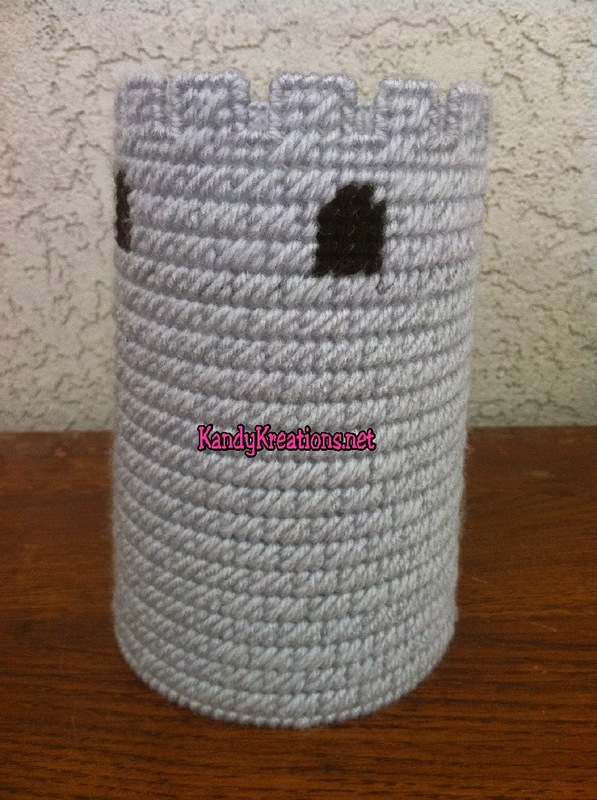 The pattern I created is perfect for your Princess birthday party or a Princess baby shower. Heck, it would be good for a knight birthday party too. Or what about a Harry Potter party? You can almost see a little bit of Hogwarts in there right? 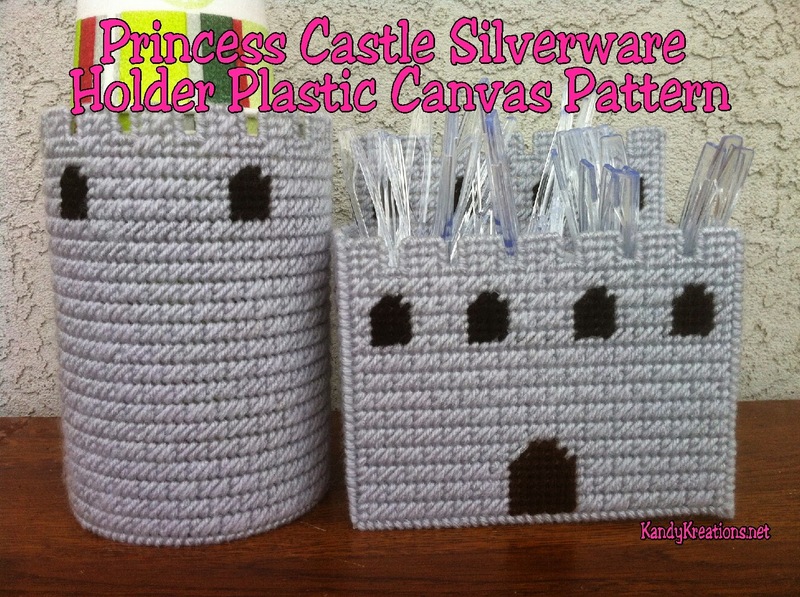 The free plastic canvas patterns are pretty easy overall if you know the basics of plastic canvas. 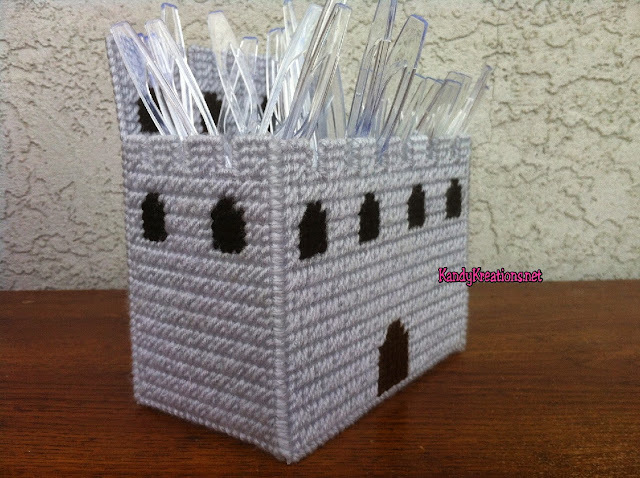 The hardest part of the whole pattern is sewing the silverware dividers into the front of the castle pattern. It's actually not really hard, it's just not as easy as sewing the rest of the pattern in straight goblin stitch. The side towers are an easy stitch using a single sheet of regular seven count plastic canvas and a 3 inch plastic canvas circle. You can leave these off if you don't want them or you can sew one, or two for your party necessities. I used mine to hold the paper cups and the napkins right with the silverware so everything was all together. This pattern was pretty fun to make and see come together. I am finding that I'm really enjoying designing up these free plastic canvas patterns in my "spare" time. So don't be surprised if you see more projects like this come along. In the meantime, you can download the PDF pattern for the Princess Castle Silverware Holder Plastic Canvas pattern here.